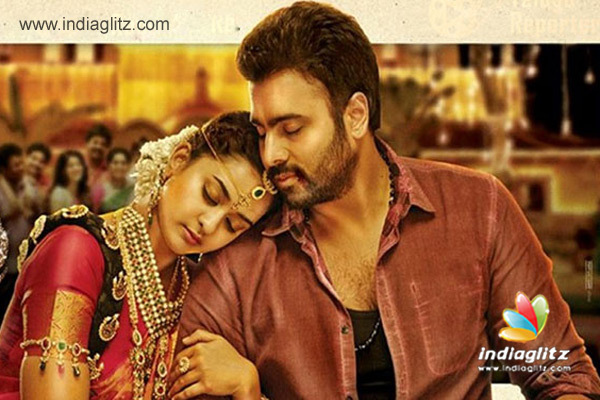 Savitri, starring Nara Rohit and Nandita Raj, is directed by Pavan Sadineni of Prema Ishq Kadal fame. Produced by Dr. VB Rajendra Prasad, the film is done with all the filming and is set to hit the screens on March 25. It will most likely compete with Nagarjuna-Karthi starrer Oopiri for BO share. A romantic-family entertainer, it has Nara Rohit in a brand new avatar, if the makers' claims are anything to go by. Posani Krishna Murali, Murali Sharma, Ajay, Ravi Babu, Jeeva, Vennela Kishore, Sri Mukhi, Dhanya Balakrishnan, Madhu Nandan, Sathyam Rajesh, Prabhas Seenu, and Shakalaka Shankar are part of the cast. Music is by Shravan. Cinematography is by Vasanth. Dialogues are by Krishna Chaitanya. Editing is by Gautham Nerusu. Stunt choreography is by Dragon Prakash. Pavan has written the story and screenplay as well. Releasing as it does days after Tuntari, Savitri offers Nara Rohit yet another chance to woo the audience.